Back in August, MoviePass caused shockwaves in the film industry with its insanely cheap Netflix-for-theaters service. The startup is apparently growing way faster than it expected and its plan to muscle in on theaters’ increased revenue appears to have accelerated. On Thursday, MoviePass cut off some AMC theaters from its service in what amounts to a warning shot. And now the company is opening up more about its larger business model. MoviePass’s strategy seems risky as hell. Customers pay $10 per month and can see a film in theaters every day. MoviePass pays theaters full price for every ticket, which is why it’s largely been welcomed by independent theaters or at least tolerated by the big chains. AMC, America’s largest theater chain, has been the exception and it denounced the service immediately following the new price announcement. Because the MoviePass card is just a custom, chip-enabled MasterCard, there was nothing AMC could really do about it aside from ceasing its acceptance of MasterCard. So when MoviePass abruptly shut down its service in ten AMC theaters in major cities, it came as a surprise—especially to customers. 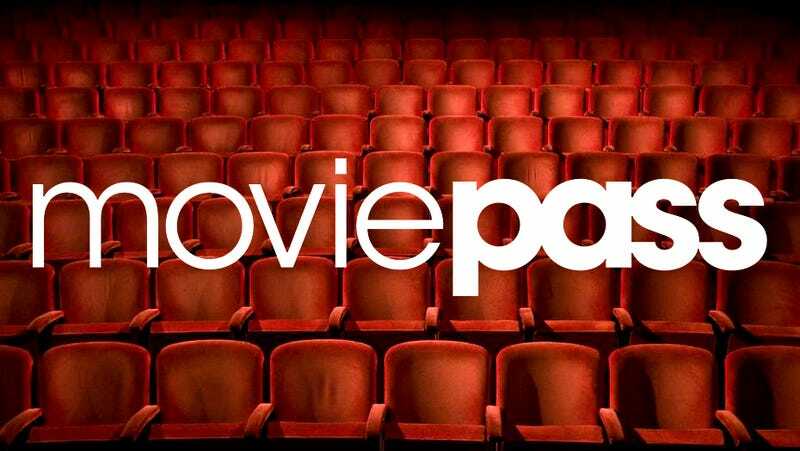 One MoviePass subscriber tweeted that “About 12 people trying to use MoviePass in the lobby of AMC empire 25 nyc and it claims we’re not 100yards from the theater. WTF.” And it wasn’t just NYC, more Twitter complaints rolled in. One user in Los Angeles tweeted, “No more AMC Century City??? That is truly disappointing. I cancelled my membership because of it.” Others expressed the same sentiment. It seems AMC was blindsided by this decision, so what did it do to warrant designation as a company that isn’t “closely aligned” with MoviePass’s customer service values? Lowe told Wired that the company is getting more aggressive in persuading theaters to start sharing in the increased revenue from concession sales. “We’re spending millions and millions of dollars every week at [the top three chains],” he said. “Those customers are spending on average $13 on popcorn and soda, which is more than double the norm, because they’re not shelling out money for their ticket.” He said that independent theaters have been more open to the idea of making a deal with MoviePass. Has MoviePass reached a point that it has the kind of leverage to bully AMC? By its own account, it’s passed 1.5 million subscribers, it’s currently paying for three percent of tickets sold at the box office, and it claims to be purchasing 10 percent or more of many smaller titles like Call Me By Your Name and The Shape of Water. Lowe claims that, the way things a going, it could wind up driving $135 million in annual profits for AMC, not counting concession sales. Those are healthy-sounding stats at this early stage of MoviePass’s proof-of-concept approach, but the service may be growing so fast that it hasn’t had enough time to fully demonstrate its value. Brian Kintsligner, a market analyst for Maxim Group recently estimated that MoviePass only has about seven months worth of cash to keep paying for those tickets, but he still listed the service’s parent company as a good investment based on future projections of growth. Lowe and his colleagues seem to think that the growth will provide the necessary leverage to bring the big theaters to the table. He told Wired that the company is on track to triple its user-base by the end of summer. The MoviePass model has always made some sense, conceptually. People will see more movies and make more adventurous choices when they’re not paying crazy prices. And MoviePass just wants a cut of the extra revenue it provides. The company also has always anticipated that its low-use customers will balance out with the people who go every day, Lowe told us back in August. On Thursday, MoviePass also announced its first film acquisition at Sundance. Along with indie studio The Orchard, its now the proud owner of the distribution rights to American Animals, a film that debuted this week at the festival. So, the bigger strategy is coming together: MoviePass wants to strong-arm uncooperative theaters into sharing revenue when it demonstrates increased sales. It wants to own some films that it acquires based on its user data, and it’ll push those films on its app with the highest priority, and ultimately collect TV and streaming revenue on them. And the company hopes to incorporate businesses that are near theaters and promote deals, in a sort of Groupon-for-movie theaters arrangement. But Lowe added a new dimension to the plan when speaking with Wired. He sees a day when some movies are MoviePass exclusives on their opening weekends, and he hopes to redefine the theater experience to include live sports and other untraditional media. Honestly, the MoviePass long game sounds a little scary. A company like it could easily end up with too much power in its hands. But there’s still a lot of hurdles to clear before that time comes. While customers might be claiming that they quit the service because it’s not participating in a certain theater, why the hell would they do that—unless, say, your town only has one option. NYC has a million great theaters and AMC doesn’t rank anywhere near the top of the list. The big chains better be ready to hold out, because their stock’s are getting murdered and MoviePass just keeps bringing in more money to wait them out.